Thursday 19 September – Monday 30 September 2019. 11 Nights / 12 Days. Opening Ceremony (Tokyo Stadium, Friday 20 September). Japan v Russia (Tokyo Stadium, Friday 20 September). Australia v Fiji (Sapporo Dome, Saturday 21 September). England v Tonga (Sapporo Dome, Sunday 22 September). Japan v Ireland (Shizuoka Stadium Ecopa, Saturday 28 September). Australia v Wales (Tokyo Stadium, Sunday 29 September). 21 Sep Sapporo, Sapporo Dome – Australia v Fiji. 29 Sep Tokyo, Tokyo Stadium – Australia v Wales. Watch Australia’s biggest pool game at Tokyo Stadium. Matches including England, Japan and more. Exclusive Welcome Reception & Match Preview incl. Rugby Personality. Attend a Sumo Tournament in Tokyo. Return economy class airfares flying All Nippon Airways from Sydney to Tokyo including compulsory pre-paid airfare taxes (other cities and airlines on application). Return economy class airfare from Tokyo to Sapporo. Return standard class bullet train ticket from Tokyo to Hamamatsu. Eleven (11) nights accommodation in 4 star accommodation. Exclusive Welcome Reception & Match Preview incl. Food and Beverage. 19 Sep Tokyo Opening Ceremony. Tokyo Half Day City Tour incl. Asakusa and Nakamise Shopping Street. Category C ticket to Tokyo Sumo Tournament. Sapporo Full Day City Tour incl. Sapporo Beer Factory. Otaru Full Day Tour incl. Nikka Whisky Distillery. Nikko Full Day Tour incl. Kegon Waterfalls & Nikko Toshogu Grand Shrine. Mt Fuji Full Day Tour. Official Rugby World Cup 2019 Wallabies Cap. Official Rugby World Cup 2019 Merchandise. Official Rugby World Cup 2019 Pre-Tournament Magazine. Official Rugby World Cup 2019 Match Day Dual Tune Socket Radio incl. Earphones. Lonely Planet Japanese Phrasebook & Dictionary. Local Japanese English Speaking Guide throughout. Booking and Ticket Handling Fee. Lunch, dinner & drinks where not stated. Activities not listed in the itinerary. << Go back to other Rugby World Cup 2019™, Japan tours. All Escorted Tour information is correct as at 1 August 2018. ^Compulsory pre-paid airfare taxes are subject to change until full payment has been received and airline tickets have been issued by this office. International airline tickets can only be issued a maximum of eleven months prior to departure. Australia to Japan return taxes with All Nippon Airways are correct as at 5 April 2018, estimated at $410 per person. ^^Return arrival and departure airport coach transfers are included in all Escorted Tour programs to and from the city where the first and last nights accommodation is located however flights must be booked with Sportsnet. Should you choose to change your arrival or departure dates or book your own flights to and from Japan, airport transfers will not be provided as part of your package. Please note all escorted tour itineraries and inclusions are subject to change for reasons that may be beyond our control. Should a change to the itinerary and inclusions be required, we will endeavour to provide a replacement of similar standard and price. Minimum and maximum traveller numbers apply to escorted tours. A tour may be cancelled if the number of travellers is less than the minimum number of travellers required. Sportsnet Holidays reserves the right to cancel an escorted tour due to unforeseen circumstances or not meeting minimum traveller numbers. A full refund or transfer to another guaranteed escorted tour and/or package will be available. Discounts – Second Tour Discount must be the same person travelling on two or more different Escorted Tours and must be booked at the same time. Small groups of 10 or more must be booked at the same time. Special Offers & Discounts does not apply to hospitality. Maximum discount is 5% with only one of Offer 1, 2 or 3 available on any one booking. For full Sportsnet Holidays terms and conditions, please click here. All 5 stars 4 stars 3 stars and below Prices listed are PER PERSON and in Australian Dollars. * Extra Night price is for per person and per night. The rates quoted are outside peak event periods and should be used as a guide only. Additional surcharges may apply. Prices listed are PER PERSON and in Australian Dollars. Upgrades subject to availability at the time of booking. Q. 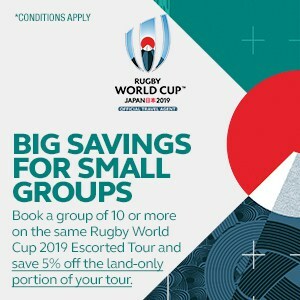 Is Sportsnet Holidays an Official Travel Agent for Rugby World Cup 2019, Japan? A. Yes, Sportsnet Holidays (Sportsnet) has been appointed as an “Official Travel Agent” (OTA) for Rugby World Cup 2019, Japan by Sports Travel and Hospitality (STH). 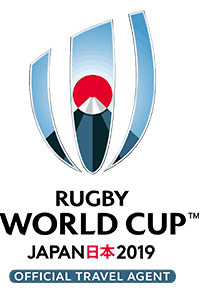 The STH has been appointed by Rugby World Cup Limited (RWCL) to manage and implement the Official Travel and Official Hospitality Programmes for Rugby World Cup 2019, Japan. Q. Who can Sportsnet Holidays market and sell packages to? A. Sportsnet has been appointed to market, sell and distribute Official Travel packages for the entire tournament that cater for the varying requirements of the Rugby supporter. A customer must have a billing address which is their permanent and primary residential address in the Territory. Q. What is a Defined Territory? A. There are seven Defined Territories including Australia, Argentina, France, Great Britain, Japan, New Zealand and South Africa. Rest of the World means worldwide excluding the seven Defined Territories. Q. What is the date of the event? A. The six week festival of Rugby featuring top players from all parts of the globe will kick-off on Friday 20 September 2019 at the iconic Tokyo Stadium, Tokyo where host nation Japan will meet Europe 1. The Final will be held at International Stadium, Yokohama on Saturday 2 November 2019. Q. Where is the event being held? A. The tournament’s 48 matches will be played across twelve venues spread over Japan, providing visitors the perfect opportunity to combine great Rugby action on the field with an amazing culture and travel experience off it. Q. What are the match kick-off times? A. The twelve Rugby World Cup 2019 match venues and the daily match schedule were announced in November 2017. The development of this schedule has balanced the considerations of the teams and players, ticketing, match day travel considerations and global broadcast schedules to maximise the global audience for Rugby’s pinnacle event. Q. When do Official Travel packages as part of the Official Travel Programme go on sale? A. The Official Travel Programme sales can commence in January 2018. Clients who have paid Sportsnet a $50 fully refundable deposit will have first access to tickets and packages followed soon after by the general public. The Official Hospitality Programme will be available from Thursday 1 February 2018. Q. What types of packages do you offer? Q. Will you offer accommodation and tickets for matches not part of your Escorted Tours or Match Breaks? A. Yes, Sportsnet has access to accommodation and tickets to all matches of Rugby World Cup 2019. Please speak to one of our expert consultants who will be able to Mix n Match any match anywhere with accommodation and/or flights and tailor make a package for you. Q. Am I allowed to remove any of the inclusions from your packages? A. This depends on which package you purchase. No element of an Escorted Tour can be removed except the international flights, airport transfers and/or all tickets should one of your party not wish to attend any of the matches included in the tour. Match Breaks and Mix n Match packages require a minimum accommodation and tickets however all other package inclusions can be removed which may provide a small saving. Flight & Ticket packages must include minimum flights and a ticket however all other package inclusions can be removed. Q. Do your Escorted Tours require minimum numbers to proceed? A. Yes, all Escorted Tours offered by Sportsnet for Rugby World Cup 2019 require a minimum 30 passengers to proceed. A tour may be cancelled if the number of travellers is less than the minimum number of travellers required. A full refund or transfer to another guaranteed escorted tour and/or package will be available. Q. Where will the Welcome Receptions & Match Previews and Finals Gala Dinner be held? A. Venues have not yet been decided at this stage and will be advised closer to the event. You can expect them all to be central and an experience you’ll never forget. Q. Are there any restrictions to how many tickets I am allowed to purchase per match? A. The number of tickets per match can only be equal to or less than the number of passengers who have booked flights and/or accommodation with Sportsnet in any one booking. Q. Can we purchase tickets only from you? A. Under contract with the STH, we cannot sell Rugby World Cup 2019 tickets on their own. (See PACKAGES, What types of packages will you be offering?). Official Hospitality will be available to purchase on its own as of Thursday 1 February 2018. Q. What standard of tickets do you offer? A. As part of the Official Travel Programme, Sportsnet has confirmed allotments and access to Category B, C and D tickets for all matches throughout the entire tournament. Category A tickets are only available as part of the Official Hospitality Programme which goes on sale from Thursday 1 February 2018. Category A tickets may become available as part of the Official Travel Programme however this will not be known until closer to the event. Q. Do you have access to Category A tickets? A. See TICKETS, What standard of tickets do you offer? Q. Will the allocation of tickets for OTA’s be better than those available in the public ballot? A. The allocation of tickets for OTA’s does sit above the allocation of tickets available through the public ballot, whatever the category. There is a stringent process in place which ensures this is the case. Once the Organising Committee have outlined their match ticket requirements for Media, VIPs and Sponsors, OTA’s will be given the next best seats available for both the Official Hospitality and Official Travel Programme, across each of the four categories and better than those available through the general public ballot. Q. When will we know our exact seat numbers? A. Although we have confirmed Category B, C and D tickets throughout the entire tournament, we will not know our exact seat numbers until closer to the event. Q. How do you allocate tickets? A. The best seats allocated to Sportsnet will be allocated to our customers in order of booking date so the earlier you put down a deposit the better! Please note though, Official Hospitality allocations are based on full payment date, not booking date. Q. Can I request where I sit in the Category I book? A. Yes, however please note exact seating areas and numbers are allocated to all OTA’s by the STH and are outside our control. We will do our best to accommodate your requests based on the allocations provided and your booking date. Q. Can I buy a package including accommodation without tickets? Q. Are there concession and children’s tickets available? A. Concession and children’s tickets are not available to OTA’s for this event. There is also no ‘babies in arms’ policy for the Rugby World Cup 2019 in that any person, no matter their age, will require to purchase a ticket to enter a stadium on match day. Q. Is there disabled access to the event? A. Yes, however all requests for disabled seating will be subject to availability. Q. Can I book different Categories of tickets within the same Escorted Tour? A. Yes. The Ticket Upgrade Options provided under each Escorted Tour are based on upgrading every match ticket as part of that tour from Category D to Category C or Category B. Should you wish to only upgrade certain matches this is absolutely fine. You will need to speak to a Sportsnet consultant who can work out the price for you. Q. Can we purchase Official Hospitality from you? A. Yes, Official Hospitality can be purchased on its own or in conjunction to a Sportsnet Official Travel package from Thursday 1 February 2018. Once you have made the decision to proceed with a booking including Official Hospitality, Sportsnet will invoice all travel arrangements whereas the STH will invoice you directly for the Official Hospitality portion once booked and confirmed. Tickets for Official Hospitality will be allocated by the STH in order of full payment, not booking date. That is, the sooner you pay in full, the better chance you have of getting the best tickets in your designated area. Q. Are there concession and children’s tickets available for Official Hospitality? A. Concession and children’s tickets are not available for Official Hospitality. Q. Are there any age restrictions for Official Hospitality? There will not be any age restrictions, however, anybody under the age of 20 must be accompanied by a parent, guardian or other adult of the age of 20 or over designated by such parent or guardian. All children must have a match and hospitality ticket including babies in arms. Q. Do the STH payment terms for Official Hospitality differ from the Sportsnet Official Travel Programme? All customers will be invoiced in Japanese Yen (JPY) for Official Hospitality. Q. Can I request a hotel which is not listed on the Sportsnet Holidays website? A. Only hotels advertised on our website can be purchased unless you have group which requires 5 or more rooms at which point we will try and source your preferred option. Q. Can I upgrade my room type? A. Only if the upgrade is listed within our packages or you have a group which requires 5 or more rooms. Q. Is there a minimum night stay for the package? A. The minimum night stay will depend on what type of package you purchase. Escorted Tour nights cannot be reduced however on occasion, dependent on the hotel, we may be able to reduce the amount of nights as part of a Match Break. Please speak to your expert consultant for further details. Extra nights can be added to all packages including the start and conclusion of an Escorted Tour. Q. Do you offer double and triple share options as part of your packages? A. Unfortunately throughout Japan, most hotels do not offer or have very limited double rooms (2 people, 1 bed) or allow three or more people in a room. The majority of rooms on offer across all packages are either single (1 person, 1 bed) or twin (2 people, 2 beds). Q. Am I allowed to change the check in and check out dates of your Match Breaks? A. In most cases, we are committed to the dates of the packages however in some instances we may be able to offer flexibility dependent on the hotel allotment and hotel minimum stay requirement. Q. I am travelling on my own and cannot afford the single price. Can I share with someone else to take advantage of the twin share price? A. Yes, as part of our Escorted Tour range only, we are happy to pair you up with someone of the same gender if available. We will put you directly in touch with each other and from there you can make the decision whether you are suitable to share throughout the tour. For single travellers purchasing the twin share option, please note there is a no smoking policy in all shared rooms. Q. Are transfers included from the airport to my hotel? If so, what type? A. Return arrival and departure airport coach transfers are included in all Escorted Tour programs to and from the city where the first and last nights accommodation is located however please note these will depart at specific times and flights must be booked with Sportsnet. Should you choose to change your flight arrival or departure dates or arrive or depart at a time that does not marry up with the scheduled escorted tour airport transfers, transfers will not be provided as part of your Escorted Tour package however can be purchased separately. Should you book your own flights to and from Japan, airport transfers will not be provided as part of your Escorted Tour package and cannot be purchased separately. Should you purchase a Match Break, Mix n Match or Flight & Ticket package, airport transfers are not included however can be added at an additional cost should you book your flights with Sportsnet. Q. Are transfers included to and from all Welcome Receptions & Match Previews and The Finals Gala Dinner? If so, what type? A. Yes, return coach transfers are included to and from all Welcome Receptions & Match Previews and The Finals Gala Dinner as part of an Escorted Tour. Should you add one of our functions to a Match Break or purchase the “The Final” Match Break which includes the Finals Gala Dinner, you will be required to make your own way to and from the event. Q. Are transfers included from my hotel to match days? If so, what type? A. Yes, return coach and rail transfers (dependent on the match) to match days are included as part of all Escorted Tours. For Match Breaks, a local public transportation card is included. You may be required to top the card up depending on how much you are planning to travel. Q. What happens if I miss my transfer? You will be required to make your own way to and from your destination on that particular day at your own cost. Q. Are flights and compulsory pre-paid airfare taxes included as part of your packages? A. Group Flights. Yes, confirmed economy class group flights with All Nippon Airways ex Sydney and Singapore Airlines ex Sydney & ex Brisbane, have been included as part of our Escorted Tour range. All other Australian cities to and from Japan are available on a request basis. Compulsory pre-paid airfare taxes quoted are an estimate only and are subject to change until airline tickets have been paid in full and issued within 11 months of departure. Airfare prices & compulsory pre-paid airfare taxes quoted are an estimate only and are subject to change and availability as international airline tickets can only be booked and issued within 11 months of departure. In the event airfares are not available at the price quoted at time of booking (approx. October, November or December 2018 dependent on your day of departure and return date to Australia) you will be offered the choice to pay the difference or consider an alternate airline. Exact airline, flight dates and times will be advised at this time. Please advise any preferences in advance. Full airfare terms and conditions including baggage allowances will be available once flights have been selected 11 months prior to departure. Q. Will I have the ability to book flights into and out of different Japanese cities? A. Yes, dependent on the city and airline. Fukuoka, Osaka, Sapporo and Tokyo are the most popular. Q. Can I upgrade my Escorted Tour or Flight & Ticket flights to business class or first class? A. Absolutely, business and first class airfare prices to and from Japan will be available approximately 11 months prior to departure in October, November, or December 2018 dependent on your day of departure and return date to Australia. The one exception is All Nippon Airways group flights ex Sydney which are included for all escorted tours. Business class airfare prices can be quoted (on an ad hoc basis), booked and confirmed from the January 2018 on sale date. Q. I don’t wish to fly the airlines you advertise. Will you book me on an alternate airline? A. Yes, please advise your preferred airline, cabin class, dates and cities at time of booking your package and this will be organised approximately 11 months prior to your departure from Australia. Q. If internal Japan flights are included as part of an Escorted Tour, am I allowed to book these myself to take advantage of frequent flyer points? A. No. All internal Japan flights as part of an Escorted Tour must be booked by Sportsnet. Airlines and times will be advised at time of documentation. Q. Is it possible to upgrade my internal Japan flights included as part of an Escorted Tour to business or first class? A. No. All internal Japan flights will be economy and cannot be upgraded. Don’t be alarmed though, they are all short haul flights! Q. Are Flight & Ticket packages available from a Rest of the World country excluding other Defined Territories? A. No, Flight & Ticket packages are only available to those flying from Australia to Japan and returning back to Australia. Q. Am I allowed to choose an alternative team to the Wallabies for the Official Rugby World Cup 2019 Cap included as part of my package? A. Yes, you can choose any other participating nation subject to availability. Q. What is the Official Rugby World Cup 2019 Match Day Dual Tune Socket Radio? A. The Dual Tune Socket Radio provides the spectator the opportunity to listen to the “Referees” or “Local Broadcast” throughout the match. Q. Can I remove any of the merchandise from my package and will it save me money? A. You can remove any of the merchandise options from your package excluding the Escorted Tours. Please note that as we are buying at wholesale prices, the saving will be minimal. Q. What details do you require to make a booking? A. 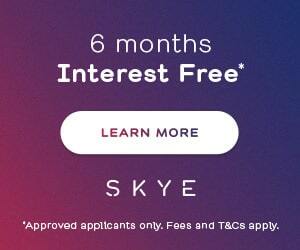 All clients are required to complete a Client Information Form on our website https://sportsnetholidays.com/client-information-form/ and pay a 25% deposit to secure your place. We are required by the STH to gather the following information for every person who has purchased a ticket to Rugby World Cup 2019. Q. What are the payment terms for the Official Travel Programme? A. Payment terms are on a staged payment basis however please note, should you purchase Official Hospitality a different staged payment plan applies. Q. Can you accept one payment on behalf of a group? A. Yes, we can take one payment on behalf of a group if you are a member of Rugby Club, school group, corporate incentive group, etc. Do you have any Special Offers & Discounts I can take advantage of? A. Absolutely we do! Special Offers & Discounts are detailed below. Please note the offers vary for Escorted Tours as compared to Match Breaks, Mix n Match and Flight & Ticket packages. * Book and pay in full same day and prior to Saturday 30 June 2018 for your Rugby World Cup 2019 Escorted Tour and save 5% off the land-only portion of your tour. * It pays to travel more! 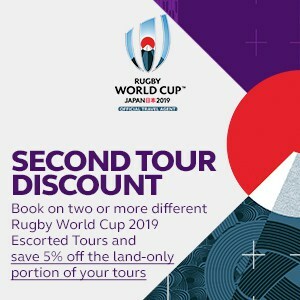 Book on two or more different Rugby World Cup 2019 Escorted Tours and save 5% off the land-only portion of your tours. * Traveling with family and friends is definitely rewarding! 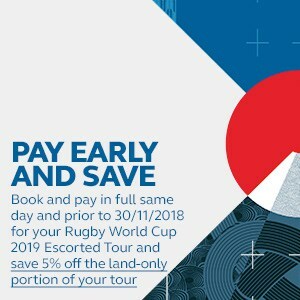 Book a group of 10 or more on the same Rugby World Cup 2019 Escorted Tour and save 5% off the land-only portion of your tour. Please note Second Tour Discount must be the same person travelling on two or more different Escorted Tours and must be booked at the same time. Small groups of 10 or more must be booked at the same time. Special Offers & Discounts does not apply to hospitality. Maximum discount is 5% with only one of Offer 1, 2 or 3 available on any one booking. * Traveling with family and friends is definitely rewarding! Book a group of 10 or more on the same Rugby World Cup 2019 Match Break and save 5%. Please note small groups of 10 or more must be booked at the same time. Special Offers & Discounts does not apply to hospitality. * Traveling with family and friends is definitely rewarding! Book a group of 10 or more on the same Rugby World Cup 2019 Flight & Ticket package and save 5% off the land-only portion. Q. Can we use your packages as a Prize in a Promotion? A. 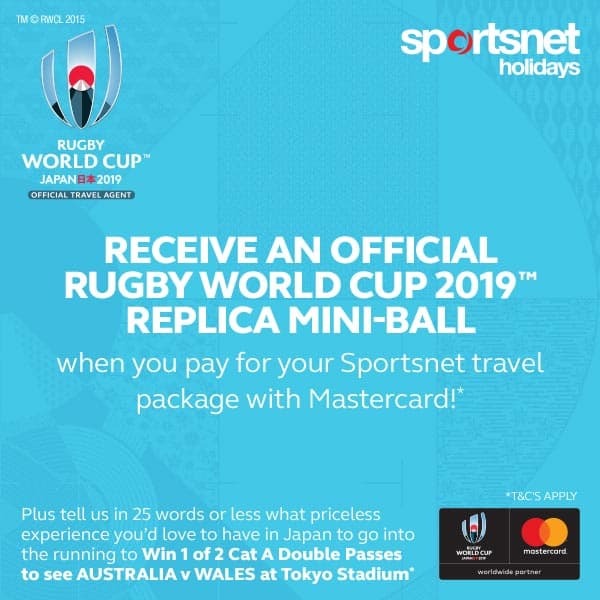 Under no circumstance and without exception can a Sportsnet Rugby World Cup 2019 package be used as a Prize in a Promotion. Q. Do I require travel insurance and is it compulsory? A. Travel insurance is compulsory on all Escorted Tours. Sportsnet Holidays highly recommends QBE Travel Insurance to be purchased at time of booking to cover against loss of deposit and full payment through cancellation, overseas medical, hospital and emergency expenses, dental, loss of luggage and personal items, accidental death, your legal liability, etc. Should you choose not to purchase travel insurance through Sportsnet, proof of policy in writing will be required prior to departure for all Escorted Tour clients. Once you have purchased your QBE Travel Insurance, you are covered from that day to date of departure against cancellation (see policy for exact details) at no extra cost. Plus once the travel insurance is issued, you are safe from any travel insurance price increases between now and Rugby World Cup 2019. Please speak to one of our expert consultants to help you choose the best travel insurance option for you. Q. Do I require a valid passport and visa? Q. Can travel agents and third parties purchase your packages? A. No, as part of our contract with the STH, all OTA’s worldwide cannot sell travel packages including tickets via any travel agent/third party and must deal directly with the consumer. The only exception is when a travel agent is appointed as an Official Sub-Agent of an OTA. Q. Does Sportsnet pay travel agent commission for a referral? A. If a travel agent provides Sportsnet with a lead before (not after) a client has contacted Sportsnet direct, their booking will be recognised as a referral and a 5% commission will apply on land only once the booking is paid in full. Please note if a referral does qualify for a Special Offer & Discount, no referral commission will apply. Travel agents will have to invoice Sportsnet for the commission at which point our accounts department will directly deposit the commission into your nominated account. Q. When will documentation including tickets be available? A. At this stage, we have not been advised by the STH and RWCL when tickets will be available for distribution. We expect this will occur much closer to the event in 2019. Q. Is shipping my documents when available for dispatch included? A. For residents of Australia, shipping is included as part of your package price. If you live internationally outside of Australia (excluding other Defined Territories) shipping is not included and will be at an extra cost dependent on where you reside and the size/weight of the parcel. Q. Can my documents be made available upon arrival at my hotel in Japan? Q. Does Sportsnet or the STH dispatch documentation for Official Hospitality? A. The STH will dispatch event documentation for Official Hospitality directly to the customer and not to Sportsnet prior to the event. Q. Can I extend my trip beyond the event dates? A. It absolutely is possible to extend your trip beyond the event date. Please speak to one of our expert consultants to help you plan your trip! Q. What language is predominantly spoken? Q. What is the weather generally like at the time of the event? A. The event is held in Autumn, and weather can be unpredictable but is generally mild, however rain quite common. We suggest to pack clothes that cater for varying temperatures, layered clothing is the best way to go. Q. Do I need to take specific medical precautions? A. We highly recommended you contact your local doctor prior to travel. Please also check the following website for any specific medical precautions: www.tmvc.com.au. Q. What currency do I use? A. The currency used across Japan is the Japanese Yen (JPY). To find out the latest currency conversion rates please visit – http://www.xe.com/currencyconverter. Click here to make an enquiry. Please click for more information! Please enter your details below and we'll be in touch shortly!